Check Out This Gnarly, GORY 1-Minute Clip fro.. The success of the low budget V/H/S last year proved that the found footage horror genre is a great way to do a horror anthology, with the style itself linking vignettes together in a way that doesn’t require any other explanation. It had its problems but it also had a lot of potential if the right group of people could be put together to make it work. The producers have done just that for V/H/S/2, gathering together a talented group of horror filmmakers who have taken the concept and put as much thought and cleverness into it as they could. The results speak volumes. 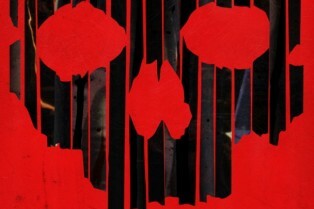 V/H/S/2 Release Date Locked, New Images! Magnet Releasing will release the horror anthology sequel V/H/S/2 on VOD June 6th and in theaters on July 12th. The film, a follow-up to the successful V/H/S, is playing in front of SXSW audiences soon. When S-VHS debuted at Sundance this month, it was without a distributor. However, you could have guessed that at some point in the acquisitions game that Magnolia – the company that picked up VHS – would be a key player. I figured it would be a “no duh” situation if the sequel was housed at Magnolia. So, here we are with a report at Variety saying that Magnolia is closing in on its deal with the S-VHS team. The company will likely emulate its VHS release model from last year, giving the sequel a late summer VOD bow and a fall limited theatrical run. But that’s all unconfirmed. The Teaser Trailer for S-VHS Has Arrived – Watch It Here! The Sundance Film Festival is upon us and S-VHS, the sequel to V/H/S, is poised to make its world premiere and we have the teaser trailer to share with you inside! With the announcement of Sundance’s Park City at Midnight line-up comes a series of images from the films selected for that program. The 2013 Sundance Film Festival has announced its Park City at Midnight film slate and it includes S-VHS. 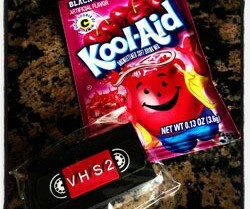 With this news comes the first plot details for the sequel to V/H/S. 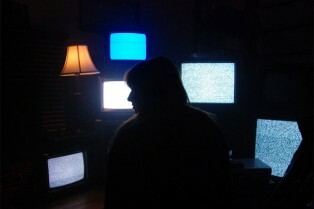 The sequel to this year’s V/H/S has a title and it’s called S-VHS, further, the first image has been released. This time out, the anthology film is going to feature tales from Jason Eisener, Gareth Evans and Timo Tjahjanto, Eduardo Sanchez and Greg Hale, Adam Wingard and Simon Barrett. The pic you’ll find within, courtesy of Twitch Film, hails from the Evans/Tjahjanto story. Gareth Evans, Eduardo Sanchez, Jason Eisener, Simon Barrett, Timo Tjahjanto and Adam Wingard are set to contribute to V/H/S 2, says The Hollywood Reporter. 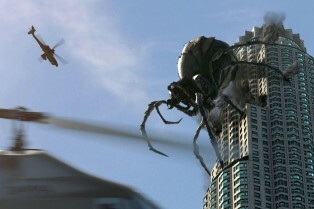 The film is a sequel to this year’s anthology found footage flick V/H/S. Evans, director of The Raid, and Sanchez (The Blair Witch Project) are co-writing and co-directing their segments. Wingard, who directed the wraparound segment in V/H/S, will tackle his own story this time. Hobo With a Shotgun’s Eisener will direct a segment and Barrett is making his directorial debut with his own story.